Accent Table - Oval / Glossy White With Chrome Metal This modern oval accent table is the perfect combination of style and functionality. With a glossy white table top and oval chrome base, this accent table will add a contemporary touch to your living space. 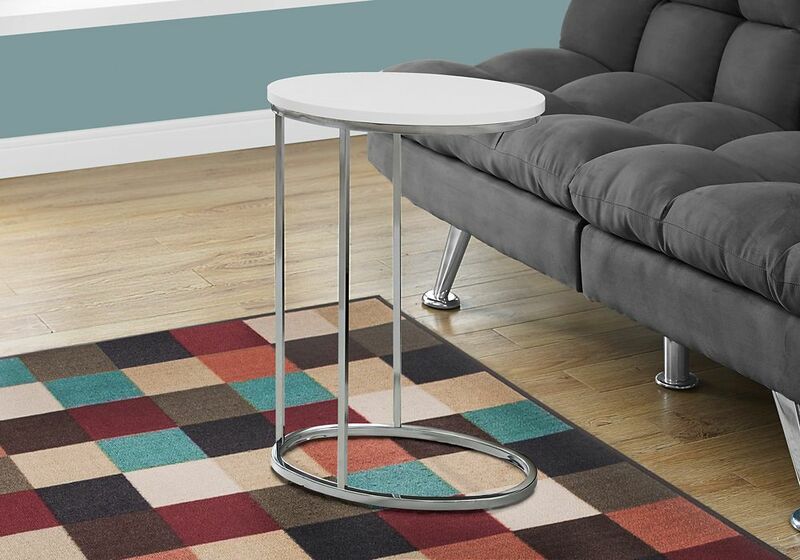 Designed to easily slip under your sofa to keep it conveniently close, this is the ideal accent table to hold your drinks, snacks, meals, or electronic devices. Lounging on the couch has never been more convenient! A truly versatile table for your living room, family room, den, or office.